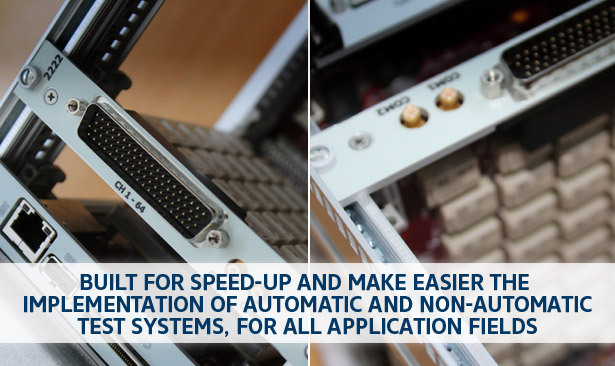 CBL Brain Chassis is a configurable modular system that allows to manage, in easy and intuitive way, up to 8 circuit board for each chassis. The possibility to manage the custom circuit board developed by the customers allow to satisfy all their needs. Brain-Chassis is easily usable with DreamTest, ready-to use software that makes interactive all resources of chassis during the execution of automatic test sequences too. 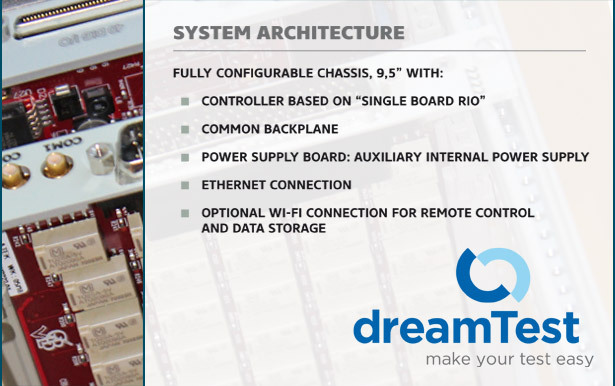 DreamTest provides a user interface that allows to manage and monitor each board on chassis and all resources on board in interactive mode. Test sequences can be built with Test Stand (NI) or TESLA (test executor of DreamTest).